Go to my online store at http://www.sedani.bigcartel.com to purchase Issue #2 now! I will be shipping all orders on Thursday! If you live in the Boston area, New England Comics will be carrying it in the stores on October 9! A little early on this post, but wanted to get it out there as I will have little time this weekend to write up a post. I showed you the inks to cover #2 last week. And this week, I give you the finished cover to Issue #2! Colors were done by the very talented Jesse Munoz http://www.jessemunoz.com . Thanks Jesse! You can pick this up at Granite State Comic Con this weekend Sept. 29 & 30. Or in New England Comics starting early October. Now, time to get started on issue #3! What’s up folks. 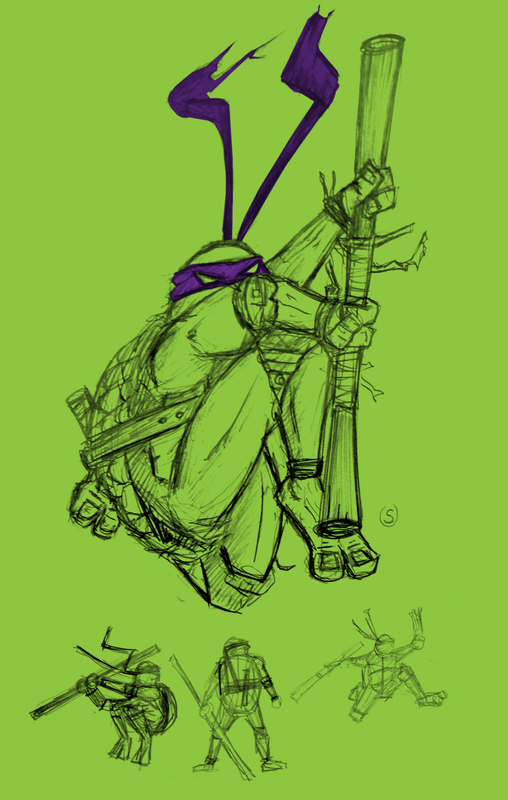 Here is a Ninja Turtle piece that I drew in pencil then scanned, and vectorized in Illustrator. I wanted to do something simple and colorful. 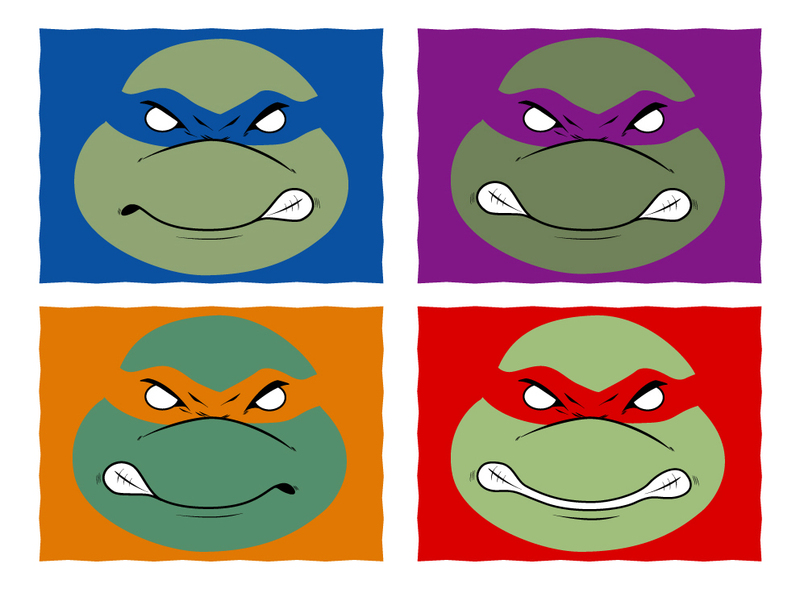 If you are old school, you will notice that the mouths represent the same ones from the original action figures. I will be selling this as a print at Granite State Comic Con this weekend! Come to Manchester! 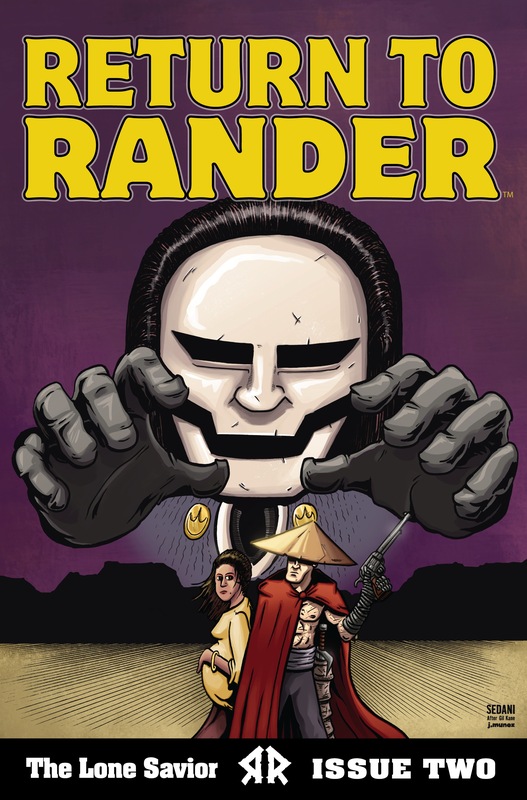 Welcome to the 39th edition of “Sunday in Rander” where I show you stuff from my comic! This week I bring to you the inks to Issue #2!!!. 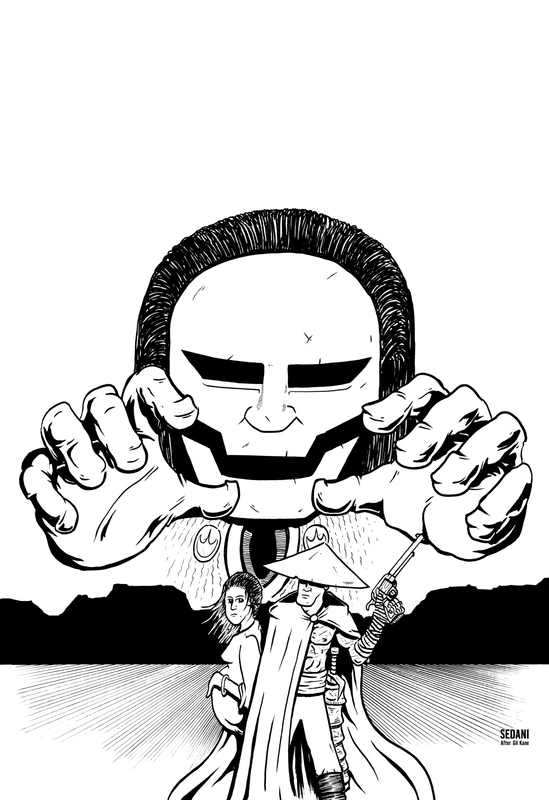 Next episode I will show you the finished cover with colors by the great Jesse Munoz, as well as the logo. This is the second cover I made for this issue. The original didn’t have Matador on it, and I felt that he needed to be there. I am pretty happy with the design (which I paid homage to the great Gil Kane’s Star Wars cover). Thanks for looking, see you next week! What’s up all! 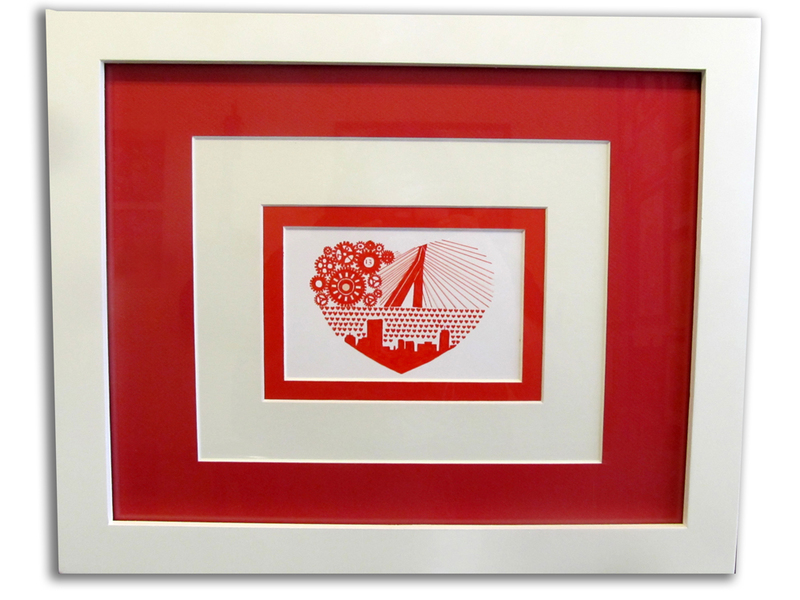 This is a piece I did and donated to the 5th annual “Arts for Hearts” show at Ned Devines in Boston tonight (Thursday September 19th, Faneuil Hall). The proceeds go to Heart Disease research. So do your duty and come check out some amazing art and music with some raffle prizes and good people! Starts at 7:00. This week was all about The Small Press Expo in Bethesda Maryland. I had a more simple setup this show and offered issue 1 as well as a sneak peak of issue 2. The show was great as always and we hope to be back next year! I will be doing the Granite State Comic Con in 2 weeks in Manchester New Hampshire. See you then! Just doodling before I fly out to Maryland for SPX tomorrow! 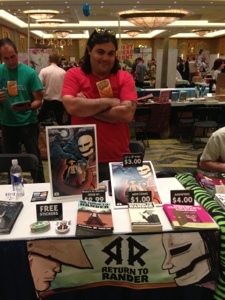 If you are in the Maryland area, check out the Small Press Expo in Bethesda Maryland this weekend at the Marriot Hotel. See you there!